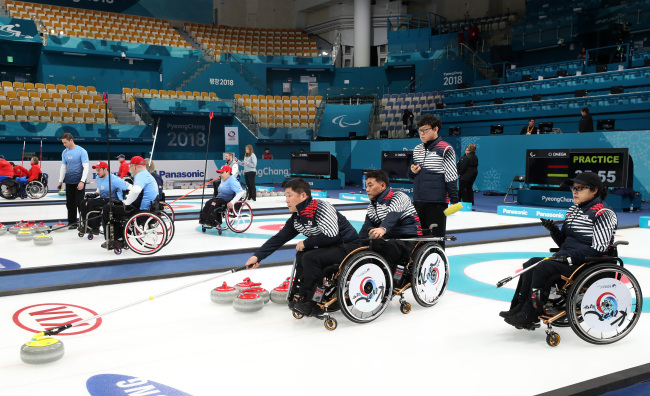 With the opening of 2018 PyeongChang Paralympic Games just a day away, the city is busy making final preparations for the event. 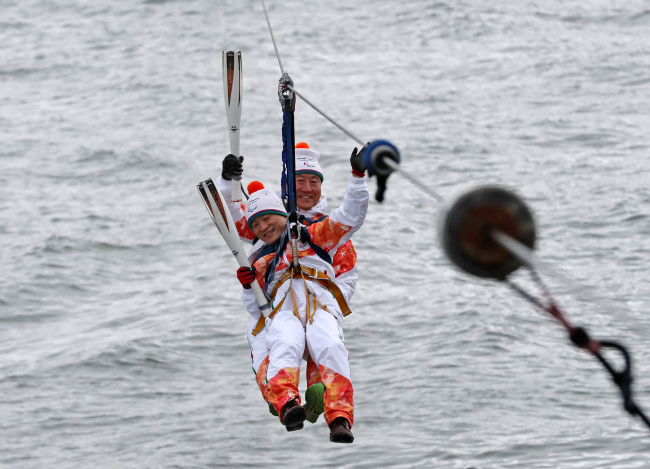 The torch for the games arrived in Gangneung, Gangwon Province, Thursday afternoon, on a route that even took a brief trip above the sea via the Aranabi zip-line that connects Amnok and Namhangjin beaches. 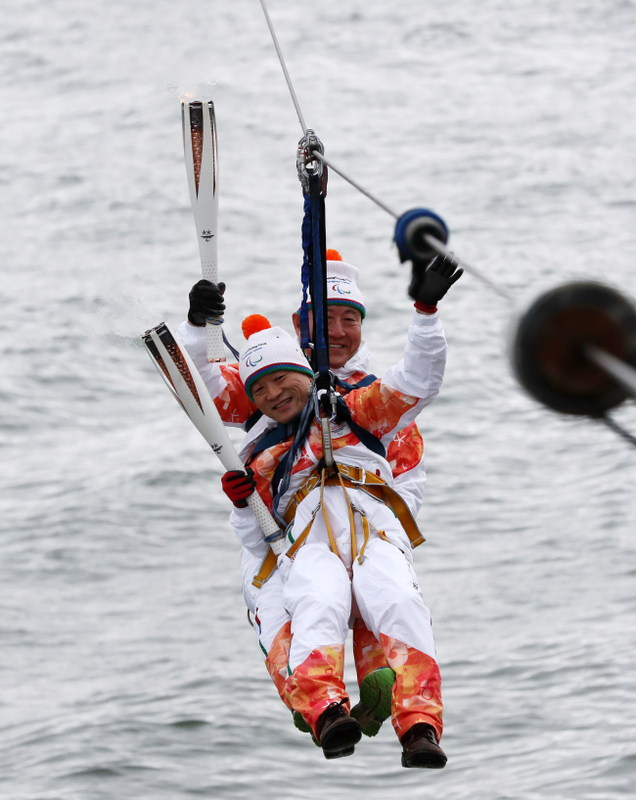 The torch for the PyeongChang Paralympics arrives in Gangneung via the Aranabi zip-line on Thursday. 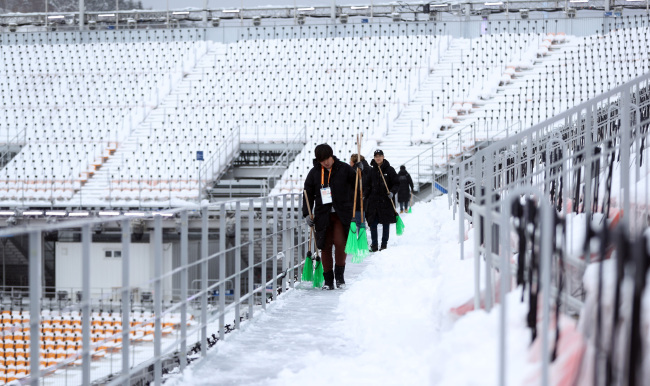 Athletes from North Korea, China and Uzbekistan made their official entry to the athletes’ village in PyeongChang at 10 a.m. 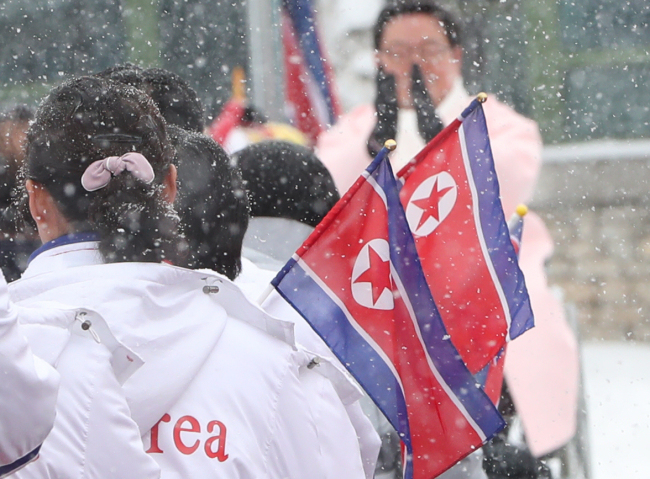 Among the 20-member athletic delegation of team North Korea, Kim Jong-hyon and Ma Yu-chol will compete in cross-country skiing, while four will take part in the games as observer athletes. 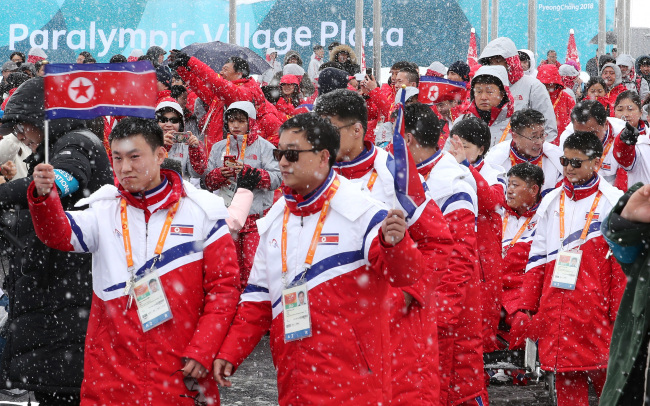 Team North Korea enters the athletes’ village in PyeongChang on March 8. 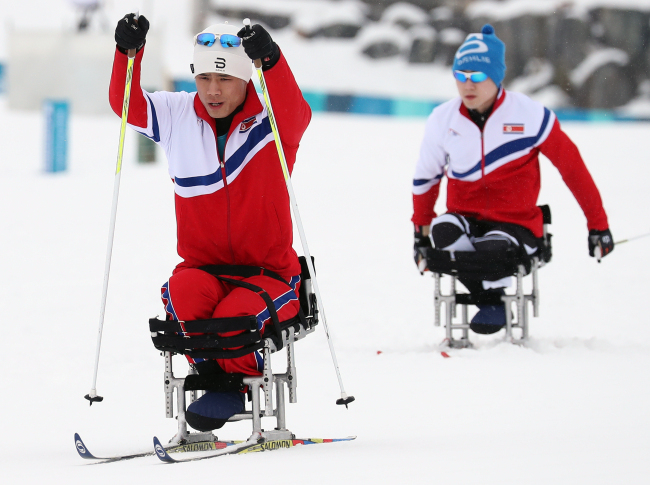 North Korean skier Ma Yu-chol (left) and Kim Jong-hyon (right) train at Alpensia Biathlon Center on Thursday. 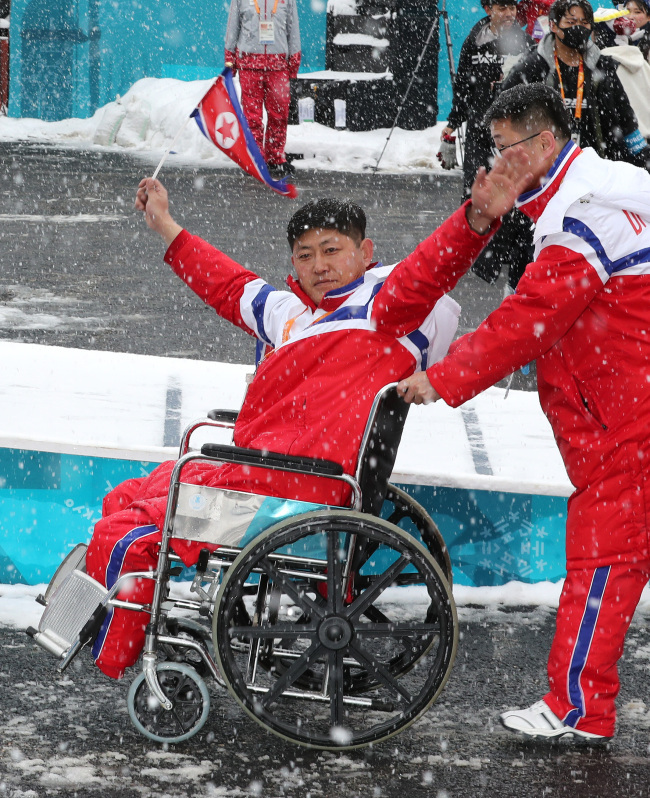 The Paralympic Mural ceremony was held at the Paralympic Village Plaza in PyeongChang. The ceremony started at the 2008 Beijing Games. 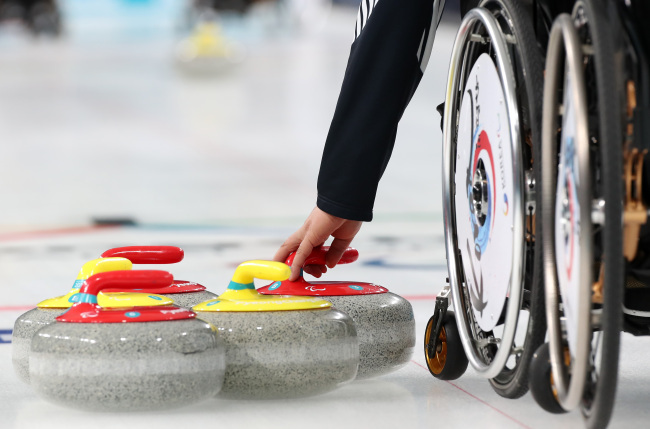 “This mural represents how Paralympic sports can break down barriers in societies. 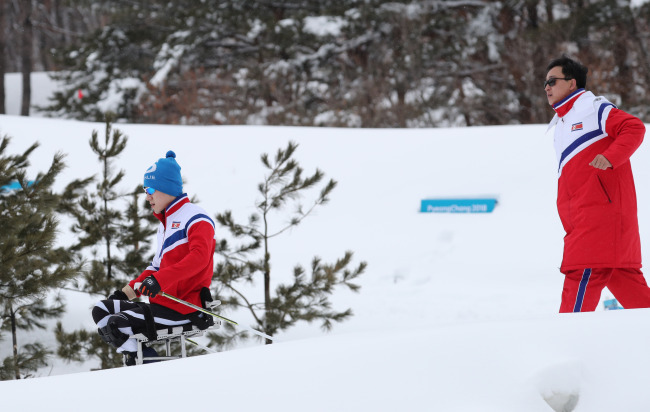 Over the coming days, athletes, officials and coaches will leave their personal mark showing the commitment to a world free from barriers and limits for people with disabilities,” said Andrew Parsons, the president of the International Paralympic Committee. 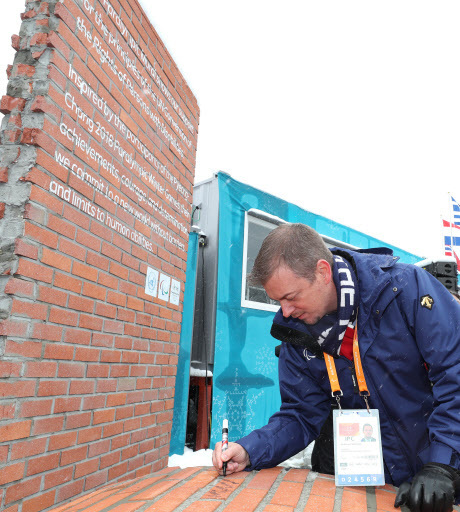 International Paralympic Committee President Andrew Parsons signs on the Paralympic Mural on Thursday. 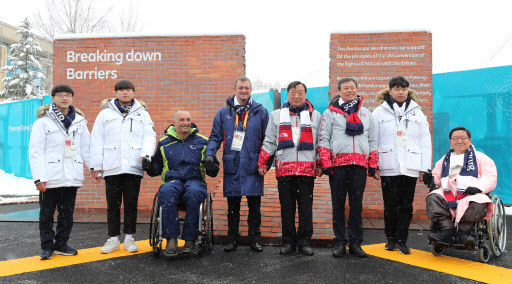 Korean Minister of Culture, Sports and Tourism Do Jong-hwan (third from right), International Paralympic Committee President Andrew Parsons (fourth from left), PyeongChang 2018 President and CEO Lee Hee-bom and attendees take a picture in front of the Paralympic Mural on Thursday. 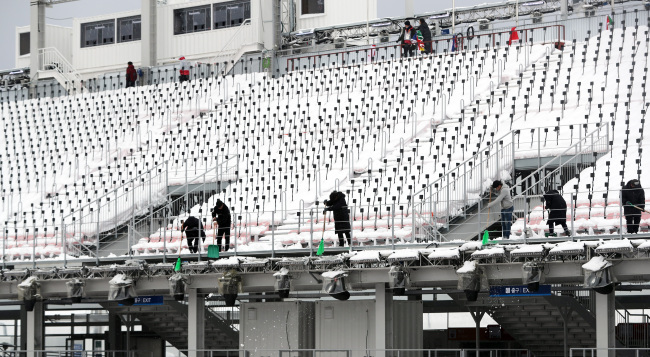 Staff clean snow from PyeongChang Olympic Stadium ahead of the Paralympic opening ceremony. South Korea’s curling team train at Gangneung Curling Center.